We know where Zionism has taken Israel. The Balfour Declaration of 1917 led the way. In that imperial and colonial document, the British promised the World Zionist Organization a "Jewish National Home" in Palestine. They did so, as Edward Said put it, in "flat disregard of both the presence and wishes of the native majority residents in that territory." Right from the start the Zionists understood "national home" to mean an eventual Jewish state. Actualizing that assumption has had enormous implications not only for the Palestinians but also for the Jews. And, as it turns out, for the rest of us as well. You cannot introduce one people, in this case a large number of Europeans who happen to be Jewish, into a territory populated by hundreds of thousands of non-Europeans, without negative consequences. And, if the incoming Europeans have the goal of creating a state exclusively for their group alone, those consequences are going to be dire indeed. Surrounded by "the other," the only way you can achieve your exclusive state is through discriminatory practices and laws ultimately producing an apartheid nation. And that is what happened. -- As the Balfour Declaration indicates, Israel and its society are products of a colonial era. That is an era when the people of both Europe and the U.S. openly practiced racist policies and behavior toward non-Europeans. They regularly trampled of the rights of alleged inferiors. Israel continues to operate in this fashion into the present. -- Following World War II it became understood that these behaviors and attitudes are morally indefensible and their consequences should be remedied. And so, the United Nations was established, the Universal Declaration of Human Rights issued, and a number of treaties embodying international laws designating crimes against humanity were signed. With this process the world entered a potentially more civilized, post-colonial age. -- When this happened the Zionist project instantly became an anachronism. In fact, Israel became a state that defied the modern norm the moment it was proclaimed. -- However, Israel does not want to be outside the norm. It wants to be accepted as a "normal" nation, particularly within the Western state system. 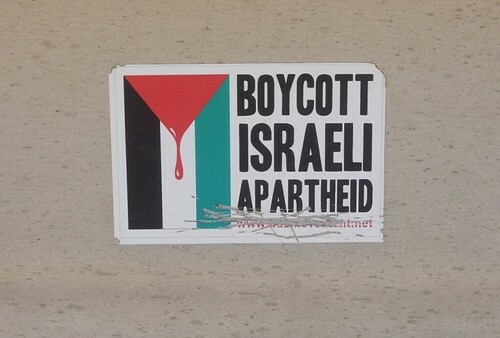 There are only two ways this can happen: either (1) Israel must give up the racist ideology of Zionism and embrace a form of democracy accessible to all its people regardless of religion or ethnicity, or (2) the world must revert back to an acceptance of at least some of the colonial practices of the 19th and early 20th centuries. You would think that choosing the anti-racist option, and therefore seriously pressuring Israel -- as the world had done with white-ruled South Africa -- to fundamentally change, would be the obvious choice for today's statesmen. But it seems not. Why is that? There is now an ongoing effort, we might call it the updated Zionist project, to move the world backward so as to accept racist past practices as "normal." It consists of (a) an attack on international law protecting human rights (despite the fact that much of this law was created as a reaction to the anti-Semitic crimes of World War II), (b) an attempt to undermine the International Criminal Court, and (c) an attack on the United Nations and its efforts to protect the human and political rights of Palestinians.